Yesterday, Chance the Rapper and G Herbo took a short break from shooting a music video for Herbo's "Everything (Remix)" on Chicago's south side to join Ebro Darden on Apple's Beats 1 via FaceTime. The trio discussed everything from working with Lil Uzi Vert, to the affects of collaboration and what they have planned for their cinematic visuals. In addition to the already released content, Chance and Herbo hinted at a future collaboration touching on the importance of mental health sometime "before May." Chance also announced that he has new music with Francis and the Lights, Young Thug and Childish Gambino among others in preparation for his fourth release. Those with Apple Music can hear the full interview by clicking the Beats 1 link above and beginning around the 31 minute mark. 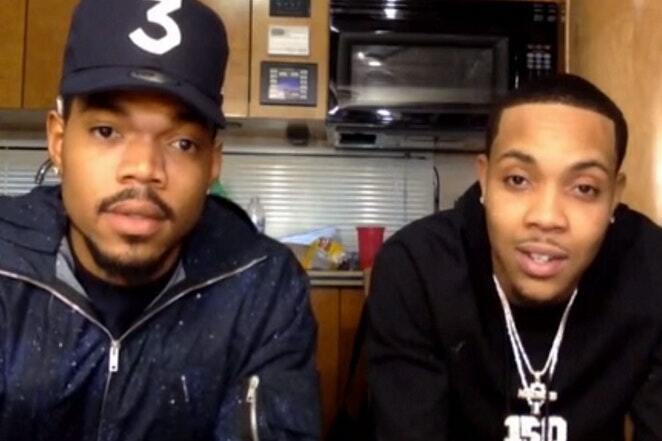 For everyone else, be on the look out for the new video and new music from both Chance and G Herbo real soon.